The worldwide market for wireless charging products was worth just over US$2 billion in 2017. However, this figure is projected to grow by about $19 billion in the next 4 years. The market research group BIS Research concludes that this is due to the increased uptake of global standards (e.g. 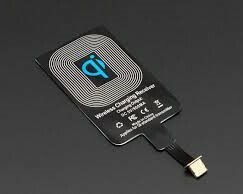 Qi) and the integration of wireless chargers into everyday objects such as cars. The wireless charging market will attain a worth of US$20.97 billion over the next 4 years. As it was worth only $2.57 billion in 2017, this implies a potential compound annual growth rate of just over 40% for this market worldwide. These predictions are made in a new report released by BIS Research. The market analysis group estimates that the growth as calculated will be driven by the increased adoption of worldwide standards for this form of charging. The report also concludes that the wireless charging market is also boosted by the ever-growing range of electronics that integrate this technology. They include smartwatches, smartphones, and other devices such as wireless earbuds. The fact that the report also expects R&D in the wireless space to overcome its current obstacles to the improved delivery of charge over time also boosts the market's predicted worth. Finally, this report also notes that the wireless charging market also benefits from the increasing rate of finding it where it would be particularly convenient, such as in household furniture and in the car. So long as this keeps up, the wireless charging landscape could look impressively appealing by 2023.